Horizon Shipbuilding, Inc. announced it has delivered another 80-foot inland river towboat, the M/V Michael Akiu #86, to Florida Marine Transporters. Inc. (FMT) of Mandeville, La. 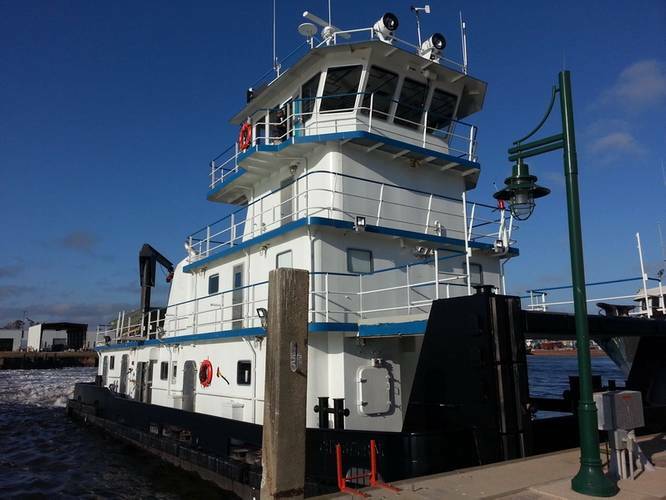 The 2,100 horsepower M/V Michael Akiu #86 is the final vessel for FMT as part of a order for three 80’ X 33’ X 10’-6” twin propeller towboats awarded to the a Bayou La Batre, Ala. shipyard in 2013. The Project Manager for the construction of the M/V Michael Akiu #86, Mike Sims, has delivered the three 80-foot vessels on-time. The shipyard has also delivered several 140-footand 120-foot inland river towboats over its eight-year relationship with FMT. 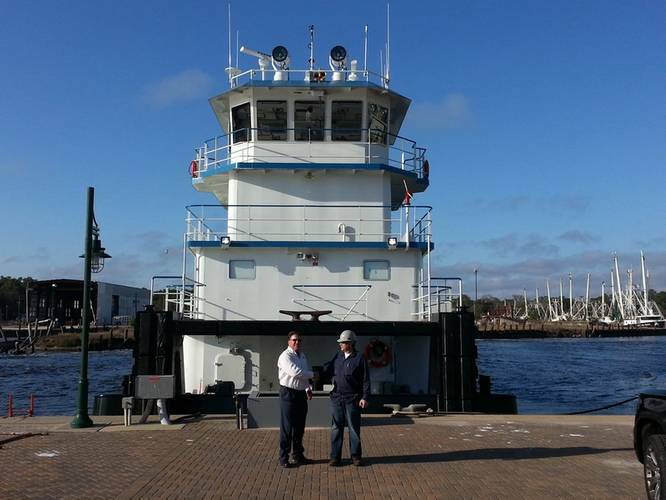 M/V Michael Akiu #86, to be used for intracoastal waterways and inland rivers operations, was named for an FMT employee who played as a wide receiver for the NFL's Houston Oilers (now Tennessee Titans). The towboat is powered by Caterpillar 3508C, rated 1,050 horsepower at 1,600 RPM, diesel engines. The reduction gears are Twin Disc MG 540 reduction gears. Three John Deere 4045 99 KW, 208 Volt AC, 60 Hz, diesel generators are installed for electrical power.